Our mother, Vaudys Francis D. Fulmer Buzianis, began her Spiritual Journey on Friday, May 18, 2018, with her loving family beside her. Mom was born to Charlotte Marie Wilken Day and Frances Marion Day on Dec. 3, 1931, in a humble home in Fillmore, Utah. She was the youngest of six children. She is survived by one older half-brother, Keith O. Koffard (Sylvia) of Corpus Christi, Texas. The remaining four children are deceased: Clair LuRay Koffard (Glenna) of Tooele; VonNell Day Stewart (Verl), Roween Day Duncan (Farren), and Marie Day Shurtz (Cecil). In March 1952, mom met and married Donald E. Fulmer. To this union, four girls were born: Shawna Fulmer Wiseman (Tom) of Rouge River, Ore.; Sherie (Neal) Symonds of Tooele; Lynn (Rick) Scott of Monroe, WA. ; and Barbie (Mike) Egnor of Big Cabin, OK. Don and Vaudys Fulmer later divorced. 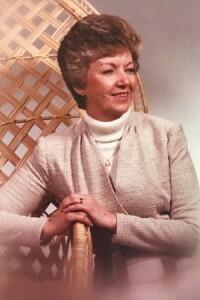 In January 1983 mom married George Buzianis, brother to Pete Buzianis (Joyce) of Middle Canyon, Tooele. To this marriage mom brought her four girls and George brought his son, George Jay Buzianis of Paia, Hawaii; one step-daughter, Renee Newitt of Seattle, WA. ; and step- son Bill Muhller (Lynette) of Layton, Utah. Together they had many grandchildren and great grandchildren. At mom’s request, in lieu of a traditional funeral, she chose cremation with a private family burial. A celebration of life will be held at the Benchmark Village Club House in Tooele on Thursday, May 24, at 1 p.m.
We express our appreciation to Intermountain Hospice and Dennis who lovingly cared for our Mom. Arrangements in care of Dalton-Hoopes Funeral Home & Cremation Center, 435-884-3031. Online condolences and memories may be shared at daltonhoopes.com.